Have you ever done a good deed and been instantly rewarded for it? I’m not sure if there is such a thing as instant karma, but sometimes coincidences work out that way. Last Friday, I published a blog post about our friends over at DemandLink being named one of the 20 Most Promising Demand & Forecasting Technology Solution Providers by CIO Review. Less than an hour later, our friend Darcy Boreo tweeted out that Practical Software Solutions was included in CIO Review’s 20 Most Promising Sage Solutions Providers for 2018. On my honor, I did not know we were going to be named to that CIO Review list or that it was going to be published right after I posted our blog post. Heck, it took me a couple more hours to realize that Darcy tweeted that out! Needless to say, we’re over the moon to be named as one of the 20 Most Promising Sage Solutions Providers, especially by an industry publication. CIO Review is a technology magazine that is “at the forefront of guiding organizations through the continuously disruptive landscape and providing enterprise solutions to redefine the business goals of enterprises tomorrow,” according to its website. To help CIOs find the right Sage solution provider for their business, a distinguished selection panel has studied dozens of Sage solution providers that have enabled their clients to achieve Sage ROI quickly. The listing showcases Sage experts that help clients optimize their business workflow and business performance, allowing them to make the most of the next transformative wave of business software. 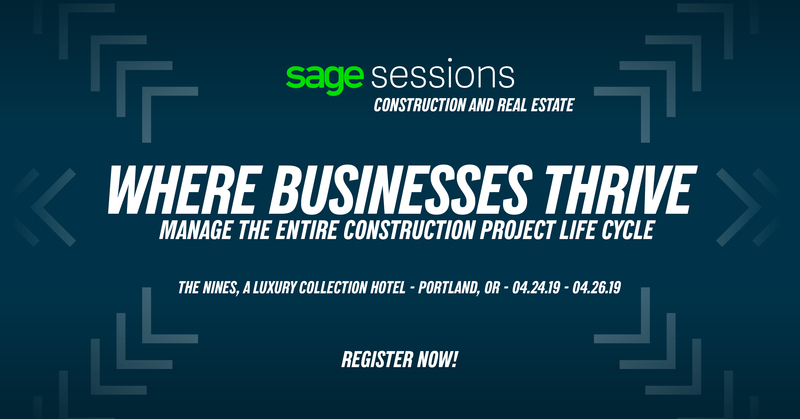 Interestingly, the list encompasses all of Sage’s products, from manufacturing and distribution systems to its construction and real estate lines. That’s rare to see all of Sage’s solutions being considered. And from a cursory look of the list, it looks like Practical Software Solutions is the only one of the 20 named that works with both Sage ERP solutions and Sage CRE solutions. It’s always special when you’re recognized by your friends in the business world. It’s a different kind of honor when an independent body recognizes you. As a Sage solutions provider, we try our best to provide high quality service to our customers whenever they need us. Our friends at Sage also have taken time to congratulate us on this recognition. Our Sage Partner Account Manager on the manufacturing and distribution side, Gary Maher, has been in the trenches with us over the past year helping to build a better foundation for our Grower Vertical for Sage Enterprise Management. Rhiannon Thompson, one of our Sage 100 Contractor customers and a contributor to this blog, also shared her excitement about hearing we were so honored. “Working with Practical Software Solutions has been nothing short of spectacular,” she said. “We were so fortunate to find them all those years ago at ConExpo Con/Agg in Las Vegas. They answered our entire list of questions (literally — I think it took two hours) and by the end of the session, we were sold. I couldn’t wait to get back and dive right in! Practical Software Solutions was instrumental in not only our implementation, but also everything that has come up since then. Anytime we need help with a report they’re right there. Payroll issue? Boom! Question answered. Need help on premise? They’ll come help! Without Practical, we would be in the dark. We’d like to thank Gary, Rhiannon and all of our Sage partners and customers who help make us a success. We will do our best to always provide top quality service to everyone we work with. This is a WELL earned award. The Practical Software “family” over the years has always been knowledgable, professional, but even more than that… they are fun to work with. They sometimes go beyond to get the answers you need and always give you the level of support that few are capable of doing.